The benefits of cardiac imaging are immense and modern cardiac electrophysiology requires the extensive and versatile use of a variety of cardiac imaging and radiology-based techniques. Cardiac electrophysiologists use a variety of techniques, highly effective and often life-saving, requiring substantial radiation exposure to patients. They range from a magnitude of 10 to 100 milliSievert (mSv), corresponding to a low (albeit definite, not negligible) additional lifetime risk of fatal and non-fatal cancer between one in 1,000 (10 mSv) to one in 100 (100 mSv). For any given dose, this risk must be multiplied by 1.38 in women, by four in children, and reduced by 50% in an 80-year old man. The radiological risk is cumulative, meaning that exam adds to exam, dose to dose, and risk to risk. This is especially important in our patients, performing serial repeated electrophysiologyprocedures, often combined with computed tomography (CT) examinations in follow-up studies. The increasing use and complexity of cardiac electrophysiology techniques have not been matched by increasing awareness and knowledge by prescribers and practitioners. The majority of doctors-including cardiologists, interventional cardiologists, and cardiac electrophysiologists-grossly underestimate the radiation doses for most commonly requested tests. In cardiac electrophysiology labs, doses can range around a reference effective dose of 15mSv corresponding to 750 chest X-rays for a cardiac radiofrequency ablation (range <2–>60). 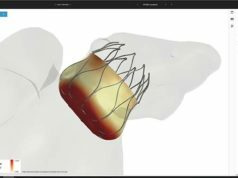 The reference dose for a regular pacemaker or ICD implant is 4mSv (range 1.4–17) and for a CRT implant is 22mSv (range 2.2–95). The effective dose in milliSievert can be derived from the dose-area product (DAP) or kerma-area product (KAP) values displayed by the equipment (as to indicating total energy imparted to the patient for a given procedure) approximately as follows: Effective dose (mSv) = DAP (Gy x cm2) x 0.2 (mSv/Gy x cm2). The conversion factor (from DAP to mSv) is age specific, and increases with decreasing age (0.4 in a 15 year old; 1.0 in a five year old; 1.9 in a one year old; 3.7 in newborns). Recent emphasis of radiation exposure due to cardiac electrophysiology procedures has engendered a competitive effort on the part of manufacturers to reduce the dose with the introduction of non-radiology based methods of cardiac mapping and the use of co-registration of cardiovascular magnetic resonance images of the target structures (for instance the left atrium). The protection of doctors is just as important as the protection of patients. Most experienced (and most exposed) interventional cardiologists and electrophysiologists have an exposure per annum of around 5mSv, two to three times higher than diagnostic radiologists, with a typical cumulative lifetime attributable risk on the order of magnitude of one cancer (fatal and non-fatal) per 100 exposed subjects. Operator dose per procedure correlates somewhat with the patient dose, but may be typically 1,000 times lower depending upon the shielding employed (one unit of incidence scatter dose for the operator when 1,000 units of incident dose are given to the patient). However, adequate radiation protection training and diligent protection can reduce the radiation exposure by 90%. It is not recommended to perform tests involving ionising radiation when the desired information can be obtained with a non-ionising test with comparable accuracy. If the physician performs a test that utilises ionising radiation, he/she should choose the one with the lowest dose and be aware of the many factors modulating dose. The actual delivered dose should always be recorded and included in patients’ records. Because of the numerous sources of variability, there is no clear threshold between acceptable and unacceptable exposure for any given examination, but the dose that is not even considered is certainly unacceptable. X-rays and gamma-rays used in radiology and nuclear medicine are proven (class 1) carcinogens, and cardiologists should make every effort to give the right imaging exam, with the right dose, to the right patient. The priority given to radioprotection in every cardiology department is an effective strategy for primary prevention of cancer, a strong indicator of the quality of the cardiology division, and the most effective shielding to enhance the safety of patients, doctors, and staff. A smart cardiologist cannot be afraid of the essential and often life-saving use of medical radiation, but must be very afraid of radiation unawareness.